Everything you need to craft your best brew is here, now packaged into these one gallon recipe kits. The equipment needed is minimal and inexpensive making entering as a new hobbyist less intimidating. * Low Cost: Start-up costs are low! * Minimal Space Required: The smaller equipment required allows for easy storage and handling. 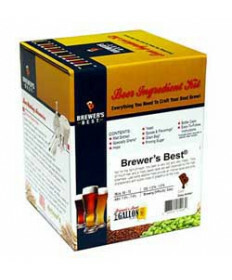 * Less Time Consuming: Only a short amount of time is needed to bring a couple of gallons of water/wort to a boil. Chilling the wort is also much quicker at this lower volume. * Lightweight: No heavy fermenters to lift or move around. 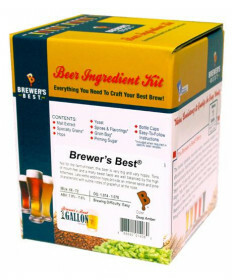 * Less Risk: Whether you're a new hobbyist just dipping your toe in the water or have multiple years of experience, the low cost will allow for experimentation and fun while making many different styles of beer.